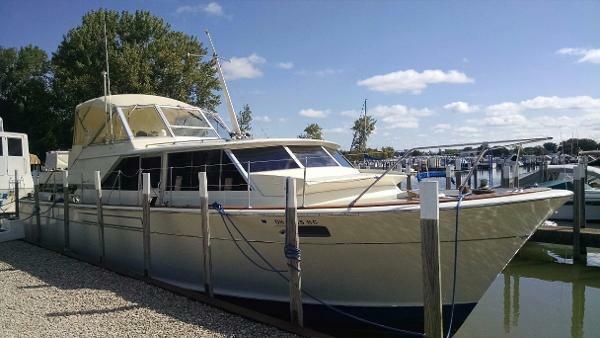 1971 Chris Craft 42 Commander New Motors and Transmissions! Freshwater Classic!! 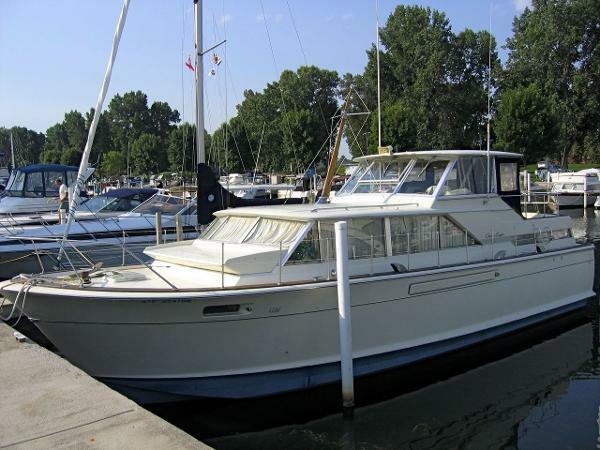 1970 Chris-Craft 42COMMANDER, One of the great classic yachts, the 42 Commander is a true compact double cabin vessel with lots of living space. Port engine replaced in 2014. New bottom paint and boot stripe in 2016. 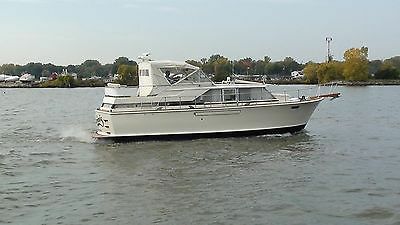 Full aft screen enclosure, updated electronics and radar, newer refrigerator. Very clean right down to the engine room. Clean survey from 2014. Trades considered. 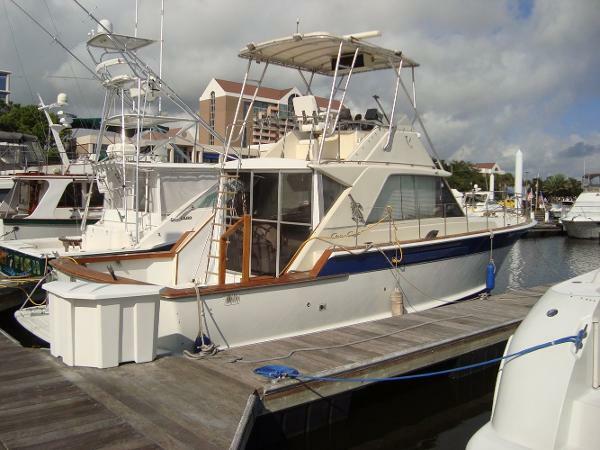 1969 Chris Craft1 42 Commander Sportfish *********ESTATE SALE******* "BLUE CHIP" is truly a classic! She was reported to have been repowered in 1994 with twin Crusader 502 CI engines with 380hp each. 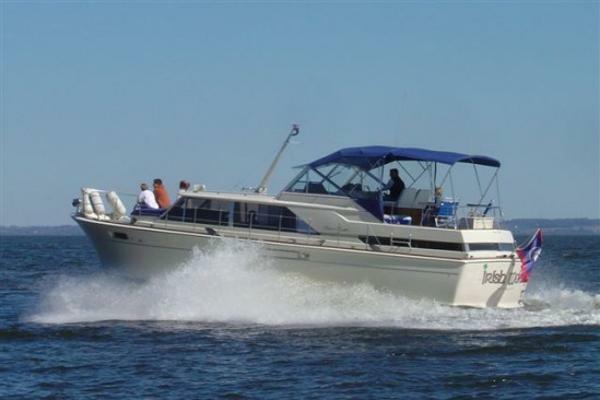 The current owners purchased her in 1999 and it had 197 reported engine hours at the time & they estimate that have not put more than 100 hours on her since. Being shed kept a good portion of her life has kept her in very good condition. They don't build them like this anymore! She is seriously for sale and all offers are encouraged and will be presented! 1968 Chris Craft1 42 Commander Fresh water Commander. Many mechanical systems have been updated. 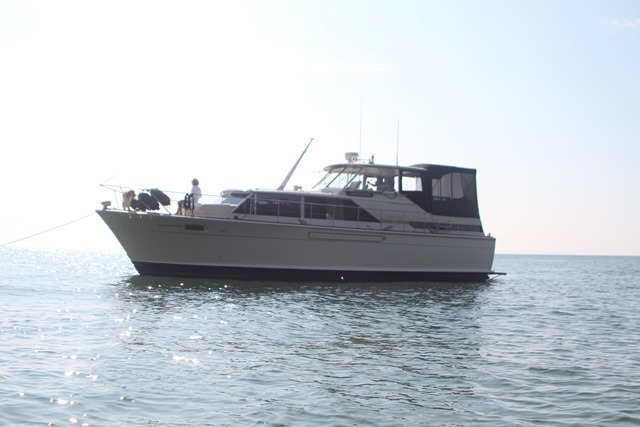 Newer engines, generator, fuel tanks and air-conditioning system . Updated Electrical panels and more. All soft goods have been removed. Boat is ready for a fresh interior. Two boat owner wants offers!